Note the comparison is case-sensitive. The includes() can also be applied on arrays. 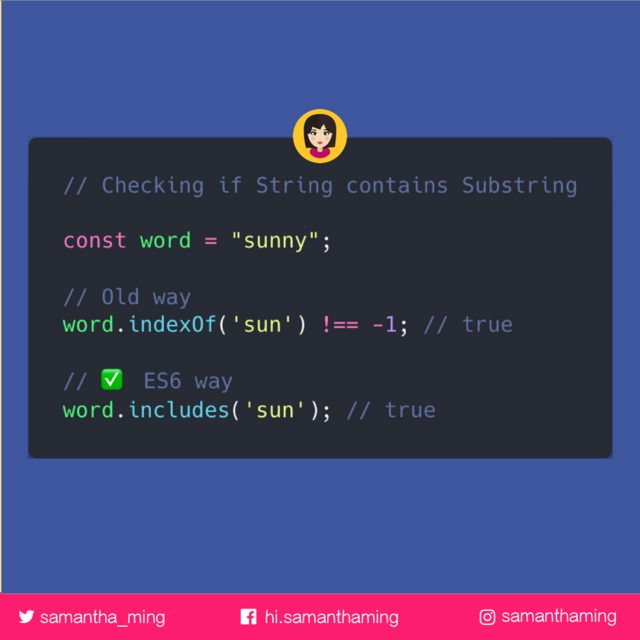 You can use it to check if a certain element is in an array. It will either true or false. If you're checking if a node is a descendant of a specified node, you can use the contains() method. The descendant can be a child, grandchild, great-grandchild, etc. Thanks Filip for creating these test cases. If you're interested in knowing the speed test for how these methods fair in different browser, check out the link.